NEW YORK (Reuters) - As traders, market pundits and economists jaw over whether the Federal Reserve this year will lift its benchmark lending rate for the first time in almost a decade, several corners of the U.S. bond market are not waiting around. A wide range of short-term interest rates, which tend to be the most sensitive to Fed policy expectations, has been quietly grinding higher for weeks, or in some cases much longer. Several have even surpassed their levels of two years ago during the bond market's "taper tantrum," when prices dropped steeply and yields shot up as the Fed pondered whether to halt its massive asset-purchase program. 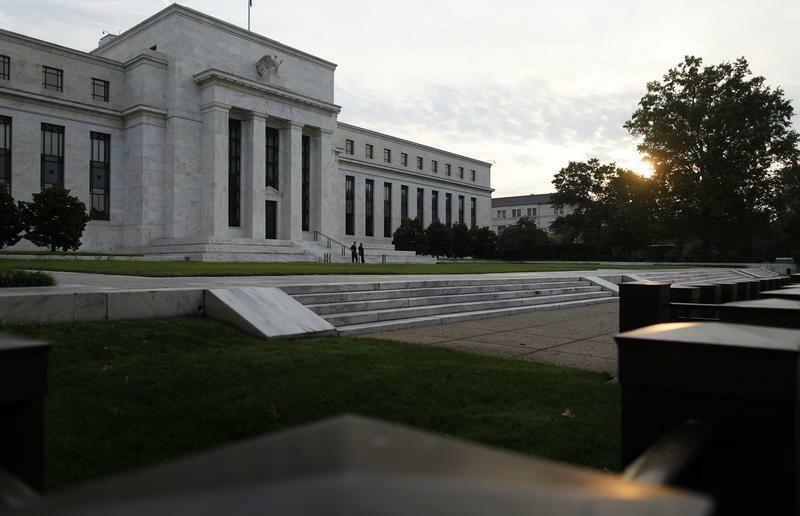 Banks, money market mutual funds and other investors do not want to be stuck with low-yielding debt when the U.S. central bank finally does begin raising interest rates, something it last did in June 2006. Generally positive comments about the economy by the Fed at the conclusion of its latest policy meeting on Wednesday signaled to many that a rate rise could come as early as September. For example, overnight bank borrowing rates have been inching up for the better part of a year and are around 36 percent more costly than in May 2014, when they fell to a record low. And even as yields on bond market benchmarks such as the 10-year Treasury note and 30-year T-bond have seen only intermittent upward pressure, those on shorter-dated Treasuries are decidedly higher. The yield on two-year Treasury notes, at 0.73 percent on Thursday, was just a tick from a four-year high and more than three times that of May 2013. Rates on T-bills with durations of less than a year are at their highest so far this year. To be sure, yields on two-year Treasuries slid back to 0.66 percent on Friday after a key measure of U.S. employment costs came in far weaker than expected, suggesting the Fed may not get the wage gains it seeks before raising rates. The Fed could still blink in the face of such factors as Greece's unresolved debt woes and stock market turmoil in China, the world's second largest. And a fresh bout of weakness in oil markets could make it difficult for inflation to move in the direction desired by the Fed. To that end, some measures of Fed rate expectations suggest almost no probability the central bank will move before December. Prices of Fed fund futures reflect a zero percent chance of a rate increase in September, a 37 percent chance in October and a 64 percent chance in December, according to CME Group's FedWatch. The Fed has long emphasized that it expects to raise interest rates only gradually, unlike in the last decade, when policymakers raised borrowing costs slightly at every meeting. In recent weeks and months, policymakers have stressed that the timing of the initial rate rise is less important than how the economy evolves afterward. Cleveland Fed President Loretta Mester even gave a speech this month entitled "Timing isn't Everything." Overnight borrowing costs between banks are a reliable proxy that traders expect short-term U.S. rates to head higher sooner than later. Since the Fed has increasingly de-emphasized the timing of a first rate increase, and especially since Fed Chair Janet Yellen's mid-July testimony to Congress, "the markets started to price in a more hawkish Fed," said Com Crocker, managing director of global inflation markets at Mesirow Financial in New York. "You saw it in rates, you saw it in the curve, you saw it in the dollar, in commodities, in stocks and in everything," he said. The federal funds effective rate, which the Fed seeks to control, has averaged 0.14 percent for four days in a row, matching its highest since May 2013. That is 1.5 basis points above the midpoint of the zero-to-25-basis-point target range the Fed adopted in December 2008. The bottom range of fed funds trading climbed to 0.10 percent on Thursday, a level last seen in 2011. Another key rate, the three-month London interbank offered rate, or Libor, a benchmark for $350 trillion worth of financial products worldwide, topped 30 basis points on Wednesday for the first time since January 2013. On Friday, Libor rose the most since 2011. For some, though, the most telling signal in recent days is the rise of yields on Treasury bills. The interest rate on three-month T-bills that mature on Sept. 17, when the Fed releases its next policy meeting statement, rose to almost 7 basis points on Thursday, the most in nearly 14 months.